Wow, you guys. Just wow. I couldn’t put it down and I didn’t want it to end. 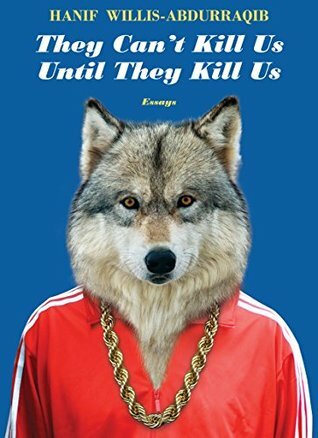 I extra love that I hadn’t heard anything about They Can’t Kill Us until I randomly saw it at my favorite bookstore and bought it on a whim in November. This collection is full of moving, insightful observations about life, culture, society, and more that touched me deeply. I identified with how clearly and specifically music has impacted Abdurraqib’s life, because it has for me, even if our tastes and the music that shaped us growing up (for me the ’90s, he writes here mostly about ’00s) are slightly different. Doesn’t matter, I’m always down to read and learn about music and life experiences outside of my own experience and comfort zone. There are so many pieces I loved in They Can’t Kill Us. The ones that resonated the most with me were those on grief, creativity, heartbreak, and striving for optimism. The ones I learned from most were those of his perspective on racism and religion. The one about Allen Iverson’s crossover hit on Michael Jordan was brilliant, as were so many others. I think if I have one tiny criticism, it’s that I wish there had been more women artists present… the music he filters his topics through is mostly rap and punk, which are, of course, still male dominated genres. Even so, They Can’t Kill Us a near-perfect book. It reminded me a lot of Roxane Gay’s Bad Feminist and Jessica Hopper’s The First Collection of Criticism by a Living Female Rock Critic. Read those, and read this. This entry was posted in books and tagged american history, celebrity, culture, essays, memoir, music, music criticism, non-fiction, poetry, politics, pop culture, race, race issues, racism, religion by kristin @ my little heart melodies. Bookmark the permalink. I’d not heard of this at all! It sounds like a fascinating read. I LOVED it!!! Can’t recommend highly enough.